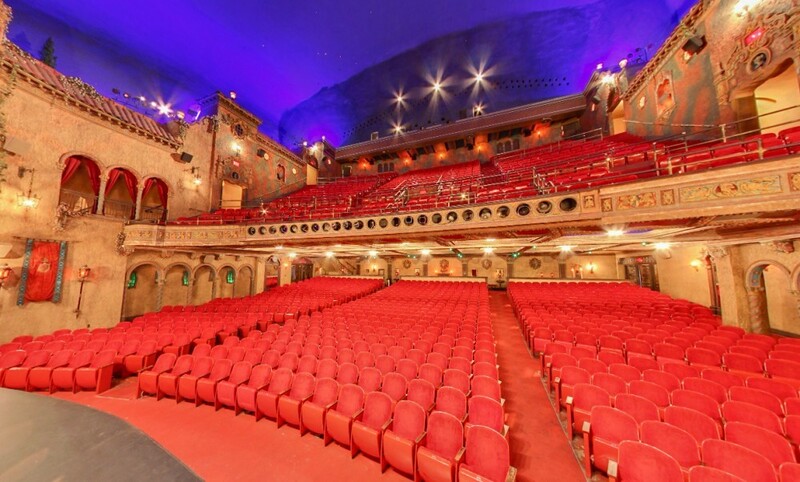 Florida, USA - A renovation project for Tampa Theatre is now taking place for the historic downtown movie palace. Built in 1926. the theater was designed by lauded architect John Eberson. He was well known for the atmospheric style he introduced to around one hundred movie palaces throughout the United States. Many of which are no more. The work will include a complete restoration of the paint and plaster in the lobby, and a new concessions stand. In the auditorium, we will be replacing the seats, carpet and drapes that were installed in 1976 with something much closer in style and color to the original design. Do not miss the chance to add a bit of vintage theater to your own home. Theater seats look good with any decor style providing extra seating anywhere from a hallway, bedroom, a living space or at a table. These red ones would even make a fab love seat to watch your own home movie in.